If you asked me about facial oils a year ago, I would have absolutely no idea what you were talking about. Now, facial oils are a major part of my daily skincare routine. The first facial oil I ever bought was Indie Lee's Squale Oil (you can read more about that here). You'll hear the name Indie Lee a lot around here because it is one of my absolute favorite clean skincare lines. Today I'm gushing on facial oils and why they have quickly become my skin's new BFF. Oils simply feel incredible on your skin. They have a gorgeously smooth texture that immediately leaves your skin feeling hydrated and refreshed. At night I use a facial oil after I moisturize to lock in all of the moisture. Some may call that over board but I truly believe moisturizing and sun protection are the two most important things in your skincare routine. Oils sink right into your skin. You can immediately see and feel a difference in your skin. Your complexion looks more radiant and less dull. I especially love the dewy yet non-greasy feel of the Indie Lee squalene oil. They give your skin a punch of moisture. Like I said earlier, I think moisturizing your skin is one of the most important parts of your skincare routine. Your older self will thank you for it one day! A few oils I've been using recently are the Indie Lee Squalene Oil, Puristry Restorative Facial Oil, and Palermo Regenerative Facial Serum. 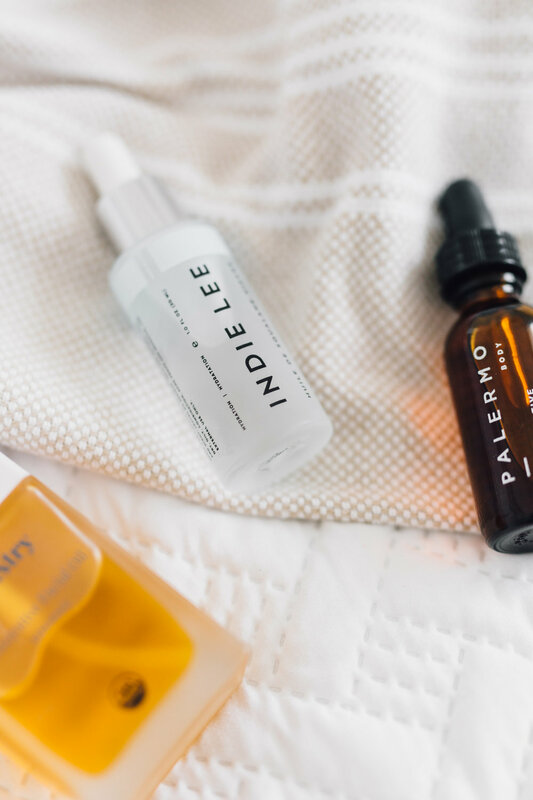 I personally like to use the Indie Lee Squalane Oil in the morning and the Puristry Restorative Facial Oil at night. All of these facial oils are clean and organic, yay! Just like your real life BFF, facial oils will always make sure you look and feel great! If you have tried a facial oil that you love, drop the name of it in the comments below!